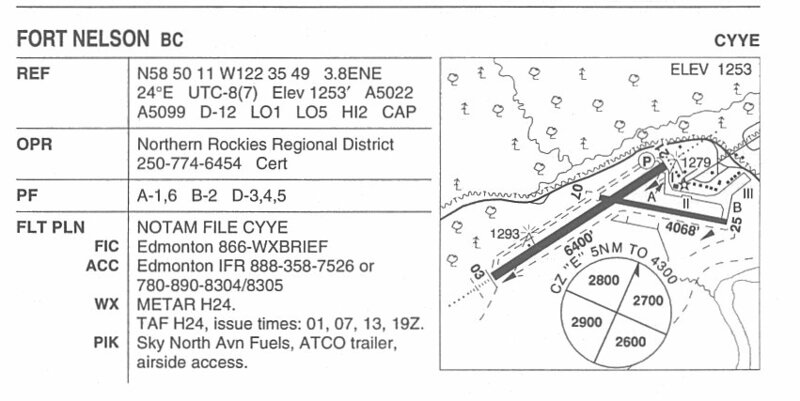 Aerodrome facility diagram for Fort Nelson - August 2004. 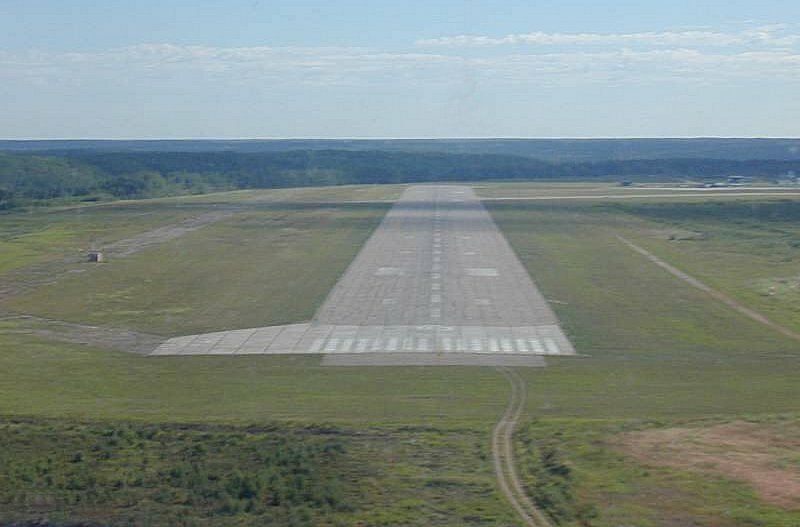 This aerodrome served as RCAF Station Fort Nelson between 1947 and 1958. 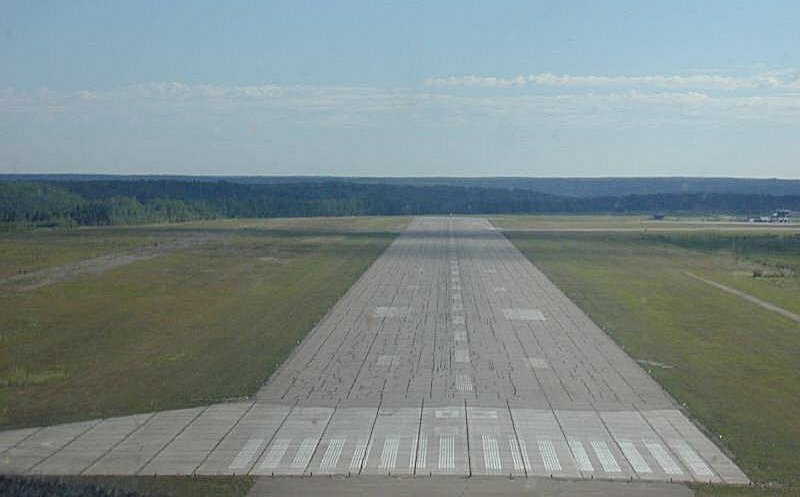 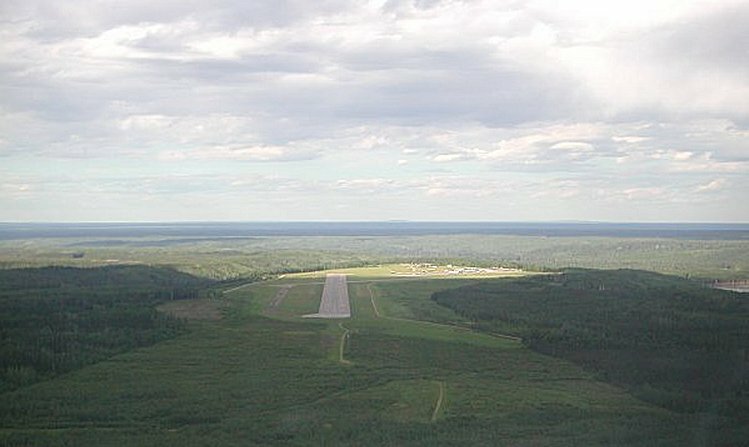 On final approach for runway 03 at Fort Nelson - June 2004.